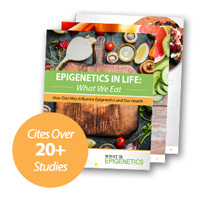 Binge Drinking Can Lead to Harmful Epigenetic Changes | What is Epigenetics? Recent research at the University of Missouri School of Medicine sheds some light on the epigenetic changes to proteins that occur as a result of binge drinking. Their results could help progress treatments for liver diseases linked to alcohol consumption. Chronic liver failure can be caused by a number of factors and the excessive use of alcohol is a very common one. Long-term damage to the liver from alcohol use cannot be undone. Numerous health issues are associated with excessive alcohol use such as heart disease, high blood pressure, cancer, neurological damage, stroke and digestive complications. According to the National Institute on Alcohol Abuse and Alcoholism, binge drinking is a pattern of drinking that raises an individual’s blood alcohol concentration (BAC) to 0.08 grams percent or higher. It typically occurs when women have 4 or more drinks or men have 5 or more within a 2 hour period. Specialized proteins called histones organize and compact DNA strands into chromatin, or protein/DNA complexes, working to safeguard the DNA and make it available or not. In a recent article, we explained how the epigenetic modifications of histone methylation or histone acetylation at a single gene controlled the way mice reacted to stress and drug addiction. Histone modifications occur naturally but, in the present study, Shukla and his research team discovered that unnatural modifications to histones can be caused by binge drinking. As a result, these abnormal histone modifications then negatively impact the body’s ability to interpret and regulate its own genetic code. The researchers fed rats either ethanol in a liquid diet or an ethanol-free isocaloric liquid diet. Then, they gave the rats either ethanol or water in three binge administrations 12 hours apart. Liver samples were analyzed for histone modifications and liver damage was assessed. In their paper published in Hepatology International, the team concluded that the profile of site-specific histone modifications were altered as a result of ethanol binge administration after chronic ethanol. Specifically, the researchers indicated that “chronic ethanol administration alone caused an increase in histone H3 ser10 and ser28 (H3S10 or S28) phosphorylation, and binge ethanol reduced their levels.” They also found that “histone H3 lysine-9 acetylation (H3AcK9) was not increased after chronic ethanol”, but histone H3 lysine-9 acetylation “increased significantly after acute binge and chronic ethanol binge.” After chronic ethanol binge, they discovered that the mice had increased protein levels, specifically an increase of histone methyltransferase, GCN5, and a modest increase of histone deacetylase, HDAC3, in the nucleus. In the body, the liver is the overarching metabolic site and because of this, it is the first organ to experience damage as a result of binge drinking. The liver not only controls drug and nutrient distribution and metabolism, it also produces numerous agents necessary for the proper functioning of the kidney, brain, heart and blood vessels – which means damage to the liver affects several other bodily systems. According to Shukla, consuming an excessive amount of alcohol and displaying a pattern of binge drinking is an emerging global health concern for the public. Binge drinking in the U.S. is the most popular form of drinking excessively. The Centers for Disease Control and Prevention indicates that one in six adults engage in binge drinking approximately four times every month. Source: Learn all about it and read more about their findings here: Annayya R. Aroor, Ricardo J. Restrepo, Kusum K. Kharbanda, Shivendra D. Shukla. Epigenetic histone modifications in a clinically relevant rat model of chronic ethanol-binge-mediated liver injury. Hepatology International. 2014. References: School of Medicine University of Missouri Health System. Changes in a Single Gene’s Action Can Control Addiction- and Depression-Related Behaviors. 2014. Centers for Disease Control and Protection. Alcohol and Public Health – Binge Drinking. NA. National Institute on Alcohol Abuse and Alcoholism. Drinking Levels Defined. 2014.